Angel: Review - sister-hood magazine. A Fuuse production by Deeyah Khan. Dear white male playwright: Middle Eastern women are not your playthings. Henry Naylor’s ‘Angel’ is a one woman show based on the life of Rehana – the legendary Kurdish law student and alleged killer of 100 Isis soldiers. 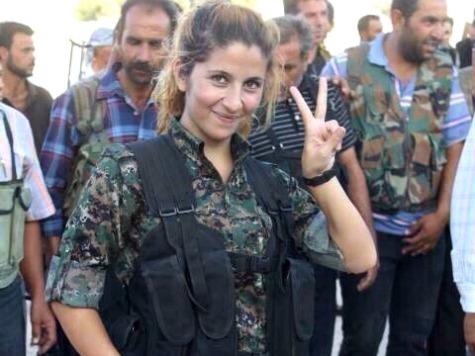 Her photo made it from the town of Kobani in Syria onto Twitter in August 2014. There are no confirmed facts or figures; just mythologies. A fascinating story, rife with possibilities that any playwright would be attracted to: a vital opportunity to inject something fresh into the mainstream portrayal of Muslim territories and a stunning opportunity to showcase the talents of an exceptional Middle Eastern actress. Oh. What could have been. ‘Angel’ is written by a middle-aged white man, and Rehana is played by a Russian woman. There isn’t a single Middle Eastern name attached to the entire creative team. As the audience files in – whiter than a matinée at The National – I wonder how Naylor and his team will interpret Middle Eastern culture, and what dialogues this production will open. As I mull this over, I notice something in the programme which answers my question. In the description of the town the play is set in it reads ‘until the Arab Spring the town didn’t have much history’‘ – Naylor won’t reimagine these places, it turns out, but dismiss them. The literature graduate in my head starts shouting something clever about colonial rhetoric, but there’s a whisper in the back of my mind, coming from the Cypriot in me: it’s the sound of my ancestors spinning in their graves. I show the audacious words my Iranian friend sat next to me. ‘Not much history’ we repeat. I’m reminded of Peter Pan explaining that fairies will cease to exist if we say we don’t believe in them. I think about how many times white men have denied the humanity of others in the same way a child might deny the existence of fairies; ‘we’re here’ I think ‘we’re real’ I say. And with that the production starts. The play kicks off with a high energy entrance from Avital Lvova who plays Rehana and all the characters she encounters. For a play which claims to be about women, it’s baffling that 50% of the time Lvova is playing men. And who are these men? They’re trigger happy rapists who lack empathy; cartoon villains written by a white man who daren’t explore the possibility that men in Isis could be intelligent or charismatic. It’s only in Rehanas father, who teaches his daughter how to survive, that we see a potentially likable male, but Lvova plays him with such militancy that he’s impossible to connect to. Basically, all these Middle Eastern men are exactly the same. Michael Cabots’s direction displays an arrogant lack of musicality which disregards the inherent melody of Middle Eastern speech patterns. Naylor keeps telling us we’re in the Middle East (there are so many references to olives and pistachios that I nearly heckle ‘Ok we get it, you’ve been to Green Lanes’) but there’s no effort to show us. Even the slightest nod to the melodic cadences of Arabic or Kurdish would have added depth, texture and – god forbid – authenticity here. This could have been achieved without putting on accents but an attention to poetry and rhythm. A choice was made not to bother. Naylor does make sure to fire shots at the Turkish government’s initial refusal to accept refugees although, sadly he couldn’t find the time to mention the impact of 139 years of the British Empire in the Middle East. That deliberateness again, those choices. 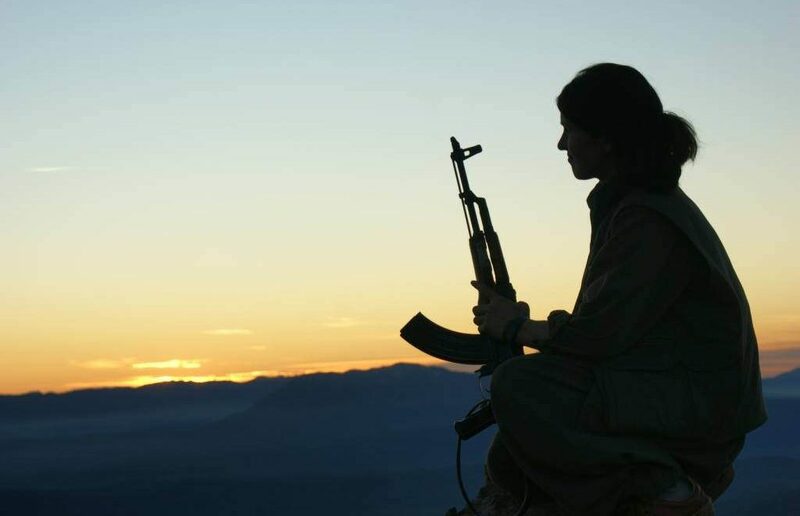 ‘Angels’ parades itself as a play about the life and legacy of one of the most important Kurdish women in history – whose identity politics are the precise backbone of what her story is – why her story matters. To have her played by any ethnicity other than her own, is tasteless. To have her played by a Russian woman (with a Russian accent) is outright disrespect. In the last 72 hours alone, an estimated 69 Syrians have died as a result of Russian air strikes. In what way does this honour the life of Rehana, who fought to bring peace to the lives of her Syrian brothers and sisters? Beyond the specificity of Rehana there is broader problem of casting. How many more Middle Eastern actresses have to come forward and express their boredom at only being cast as the Jihadi wife or subordinated daughter. Integrating women of Muslim heritage into the fabric of our cultural and artistic life will allow them (us) to be seen as a vital part of the British identity. Given that hate crimes against Muslims have increased fivefold since Brexit this is about more than just theatre: it’s the responsibility of society as a whole to fight for equal representation. How can we expect to combat the Islamophobia of Trump’s Muslim ban when we cannot even get Muslim actors through the stage door? White people can play everyone, but BAMER actors are too often forced to stay in their lane. When a part like Rehana comes along and is miscast a message is sent – ‘we know you better than you know yourselves’ – classic colonial bants again. Henry Naylor, Avital Lvova, Michael Cabot and The Arcola made a choice. No amount of stars or awards mean it was a good one though. Now we need to make ours. We must buy into our brothers and sisters, while boycotting our oppressors (because that is what they are). White actors need to start saying no to these castings and venues need to stop hoping they’ll get away with it. Being diverse some of the time and deeply un-diverse at others merely makes those initial achievements seem tokenistic – we’re not fighting for fleeting seasons: we’re fighting for a consistent availability of parts for everyone, in plays that are about everything. We will not be othered out of our own narrative. And if someone turns to you and says this isn’t about race, ask them why there isn’t a black James Bond. This post was originally published in The Tung Magazine and has been reproduced with permission. 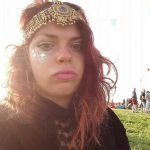 I’m just one of those London raised Turkish Cypriot girls that the media doesn’t acknowledge - pumped up on humus and hip hop I’m on a mission (mostly through words and theatre) to represent. Let’s have a chat.